A man donates blood in this file image. The Rhode Island Blood Center is cutting about 10 percent of its staff and eliminating smaller blood drives to offset the costs of screening for an emerging tick-borne disease. The Providence Journal reports the state is one of nine with high rates of babesiosis. Officials say the center will begin testing for the parasite that causes the disease next year. The center hasn't been mandated to start screening. But an advisory panel to the U.S. Food and Drug Administration recommended nationwide testing of donors for Babesia earlier this year. About 15 cases of transfusion-related babesiosis are reported annually. That's more than any other type of disease. 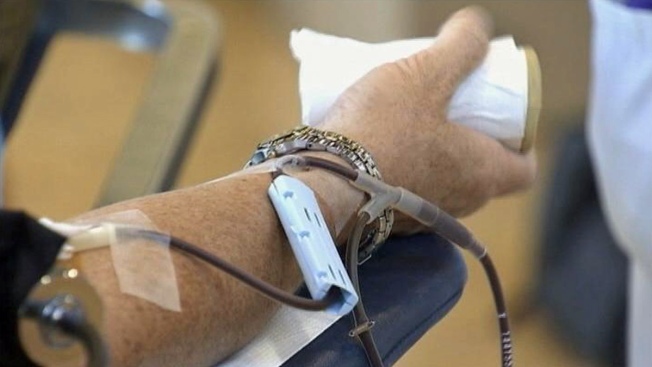 Officials say the 37 layoffs are due to the cost of collecting blood. The reductions lower staffing to about 360.